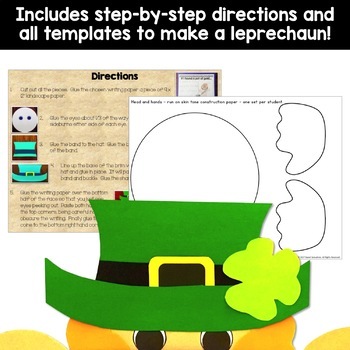 St. Patrick’s Day leprechaun activity - make a peeking over student writing! ~I feel lucky when . . .
~If I found a pot of gold . 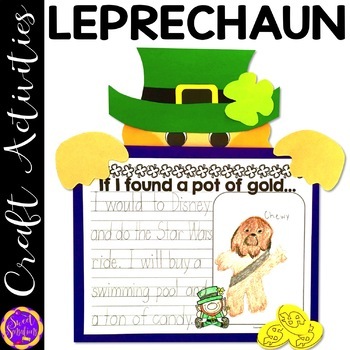 . .
~When the leprechaun came to our school. 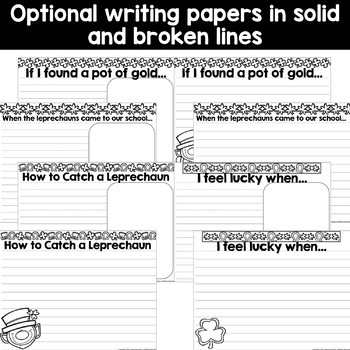 . .
(each writing prompt is provided on solid and broken line paper. The broken line paper also includes a box for a drawing). Small hands may need assistance cutting some parts. ALL PRODUCTS are 50% off for the first 24 hours after uploading. Don't miss out! Follow the green star for my store, Sweet Sensations and leave a rating, and like my Facebook page to stay in the loop!